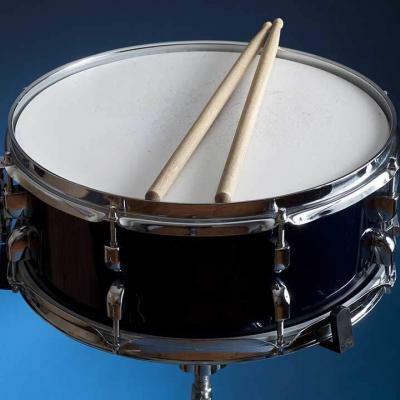 A bass drum is a percussion instrument of different sizes which can be used in almost all musical genres. 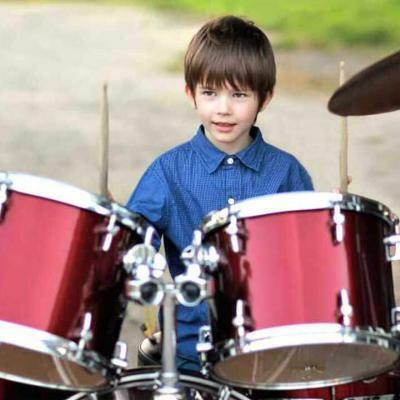 You may think that a bass drum pedal is just a simple combination of a beater and footboard and that it will make some noise by simply stepping on it. 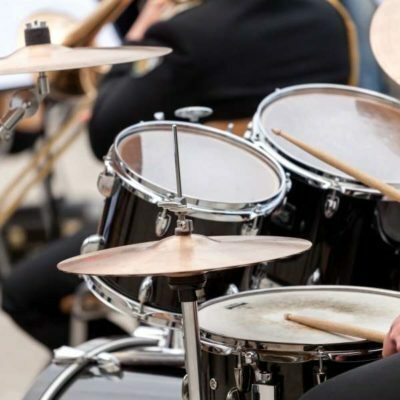 But, there are many different types of this instrument on the market, and today we will talk about three of the best bass drum pedals and give you an ultimate guide on what you need to know before your purchase. For starters, it is good to know that the variations available for you seem endless. There are single and double pedals, direct-drive and longboard pedals, chain and belt-drive pedals, and even a split footboard pedal. All these different types may make you feel overwhelmed, so it is just good for you to have the knowledge needed to find the right pedal based on your needs. 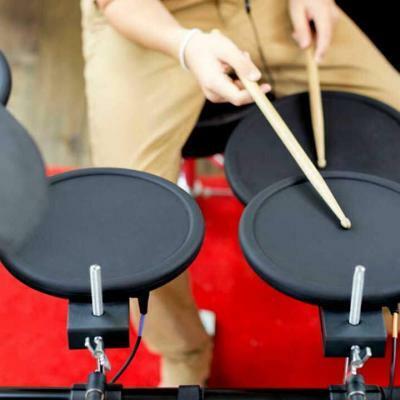 So, regardless if you are new to playing this musical instrument or not, it is just right for you to own a bass drum pedal that will make you feel comfortable playing. 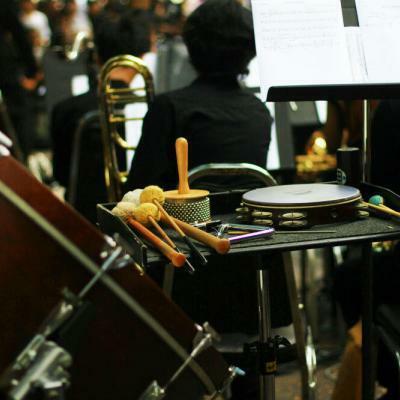 You should be able to play your music with an instrument that is right for your needs. 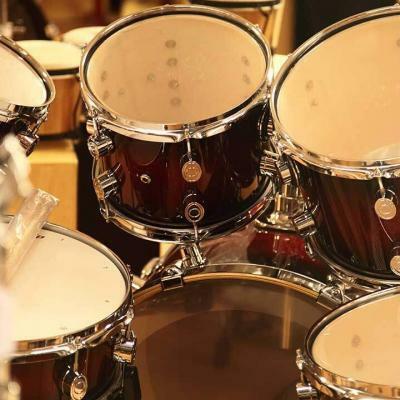 On this post, as we have mentioned, we will discuss and compare the features, pros, and cons of the top three bass drum pedals popular on the market today to help you make comparisons and decide on which one to get. The Mapex Single Chain Double Bass Drum Pedal measures 20 x 10 x 10 inches and weighs three pounds. This tool is made up of solid steel components, which ensure that it is durable. It is also designed to be reliable and of course, playable. It boasts of duo-tone felt, has compact stabilizer radius rods, and uses the independent universal 500 series. There can be pedal lags. The tension may need to be often readjusted. 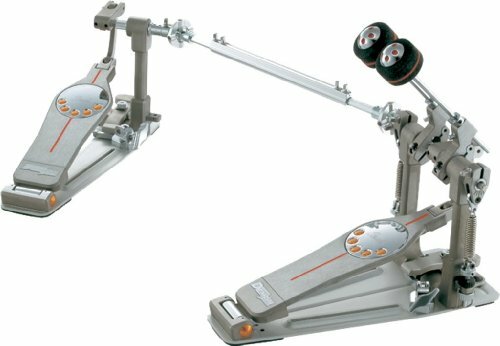 The Mapex Single Chain Double Bass Drum Pedal uses the independent universal 500 series. It is also made up of entirely solid steel components yet weighs only three pounds. This only proves that it was engineered to fit the demanding lifestyle of a musician gig after gig after gig. 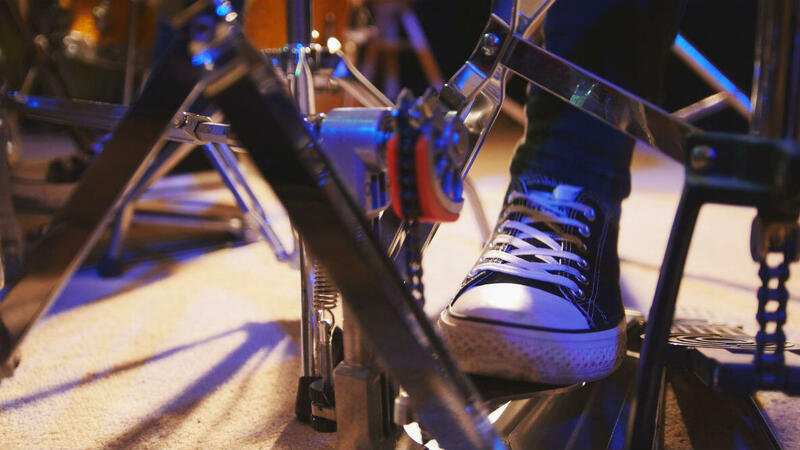 The Griffin Double Kick Drum Pedal has a quad or four-way beaters. It is made entirely of metal and sold with a drum key. 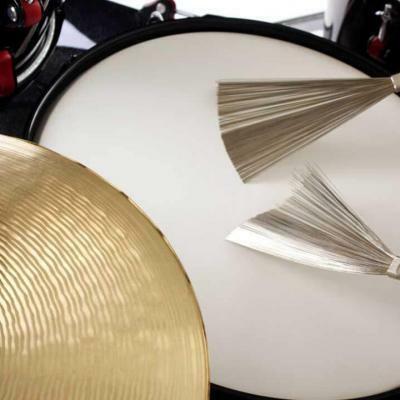 It also boasts of double-spine weighted pedal plates, an adjustable power cam system, a double-locking spring tension rod, and force-locking bass drum clamps. This instrument has a base plate that measures 13 x 5.5 inches on each side and weighs 11 pounds. The distance between pedals can be adjusted from 20 inches to 27 inches. The seat may not stay tight if used for a prolonged period. The stand may not be able to handle heavy weight. What you will love about the Griffin Double Kick Drum Pedal is that it is feature-rich and is offered at a very competitive cost. It is made up entirely of metal while its parts can be adjustable to match your needs. The Pearl Eliminator Double Bass Drum Pedal offers only smooth and fast action. It has 16 bearings and self-aligning spherical bearings. This instrument measures 15.5 x 17 x 9.5 inches and weighs 6.5 pounds. It has a beater stroke adjustment, control core beaters, ninja bearings, and click-lock spring tension. There can be pedal resistance. Footboard may seem too low if you set at the highest adjustment. What is awesome about the Pearl Eliminator Double Bass Drum Pedal is that it has self-aligning spherical bearings and adjustable beater strokes. It also offers unparalleled smoothness while allowing you to have fast action. After a thorough comparison and discussion of the features, pros, and cons of the top three products popular on the market today, which can we now consider as the best bass drum pedal? 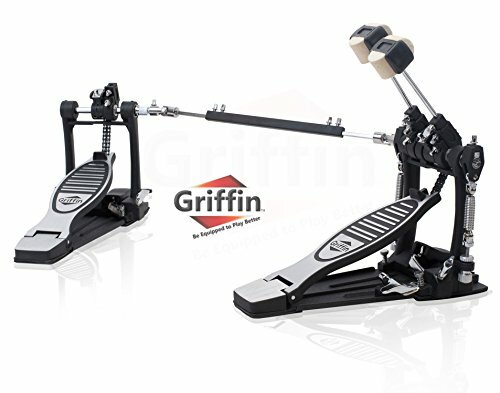 In terms of features, we can say that the Griffin Double Kick Drum Pedal is very competitive. Its springs can be adjusted to ensure consistent tension control, and it has a beater shaft lock to ensure correct position at all times. It also comes with a foot stop which prevents any unwanted slips. 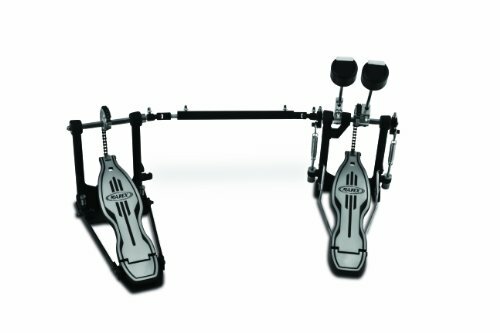 On the other hand, the Mapex Single Chain Double Bass Drum Pedal ensures durability and reliability since its components are all made up of solid steel. It also allows you to make adjustments on the parts quickly and easily. Meanwhile, the Pearl Eliminator Double Bass Drum Pedal allows you to custom fit the pedal to your different musical styles. It offers features such as the click-lock spring tension and the beater stroke adjustment. We can say that the Griffin Double Kick Drum Pedal is the wisest choice among these three products because it is not only feature-rich, it also offers durability and reliability while allowing you to make adjustments. It is also the most inexpensive among the three and yet stands out on the things it can offer. Overall, we can conclude that all three products offer different features that may appeal to you. What you need to focus on right now are the specifications and the possibilities that each can offer while also thinking about what you need so that you can end up choosing the perfect match. 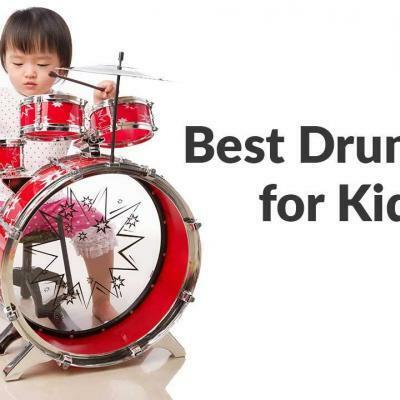 The Best Drum Set Under $500: Which One Is For You?